Many therapists can attest to the fact that adolescents can be difficult and frustating clients-problems are seldom well defined, clearly delineated symptoms are more exception than the rule, and troubling situations often involve the entire family. Gestalt therapist Mark McConville draws on his more than twenty years of professional experience to offer clinicians an effective model for understanding and treating adolescents. He outlines the Developmental Tasks Model, which describes adolescents' struggles, "temporary insanity," and ultimately, triumph of development. He clearly demonstrates that the Gestalt therapeutic model bridges the theoretical and clinical gap, and offers an indepth exploration of the various aspects of clinical work. Adolescence offers valuable nuts-and-bolts advice on initiating therapy with adolescents who are not yet ready to do the self-reflective, exploratory work. In addition, the book examines the therapeutic method of engaging and cultivating the adolescent's emerging inner world. 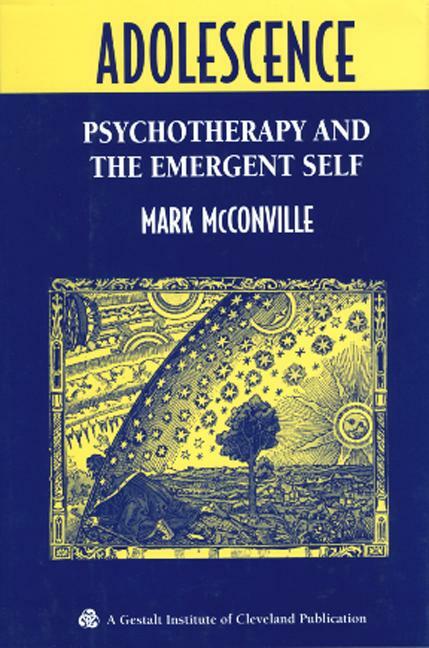 With perception and sensitivity, McConville explains how the clinician can guide the adolescent in the very personal and subjective process of birthing and existential self. The book details the process of the creative reorganization of the self during adolescence and explores the changes that take place in the adolescent's relationships with peers, parents, and others in the adult world. The author also tracks the interplay of intrapsychic and interpersonal boundary development and shows how this interplay manifests itself in relationships and evolves from early through late adolescence. The Gestalt model of therapy allows the clinician to make sense of the confusion of the adolescent world and map out the multiple possibilities of clinical interventions. "This is a book that I have been hoping someone would write. It makes a unique and vital contribution to the literature of adolescent psychotherapy. I recommend this book to those of us who struggle with the emerging self of the adolescent." "At last, a developmental stages model that is not linear and can account for the fits and starts and repeats of real life - and real adolescents. A joy to read, and of good practical value to all of us doing the real work in the trenches. I recommentd it heartily to graduate students and practitioners alike." "Adolescence is an especially valuable addition to the literature on psychotherapy with adolescents. Dr. McConville's descriptions of how adolescents develop ownership of themselves through their visual and other sensory perceptions using their developing cognitive skills is a new and very practical approach to understanding the adolescent process. This is a must read book." "Mark McConville lays down a fresh and substantial foundation for understanding the adolescent experience. This is a generous and penetrating book." "Adolescence is the work of a wise therapist. It is a practical, compassionate guide to psychotherapy with adolescents." Mark McConville is a psychotherapist in private practice in Cleveland, Ohio, specializing in adolescent and family psychotherapy. He is on the faculty of the Gestalt Institute of Cleveland. In addition, he serves as clinical consultant for the Shaker Heights Youth Center and is affiliated consultant for Hathaway Brown School and University School, both in the greater Cleveland area.